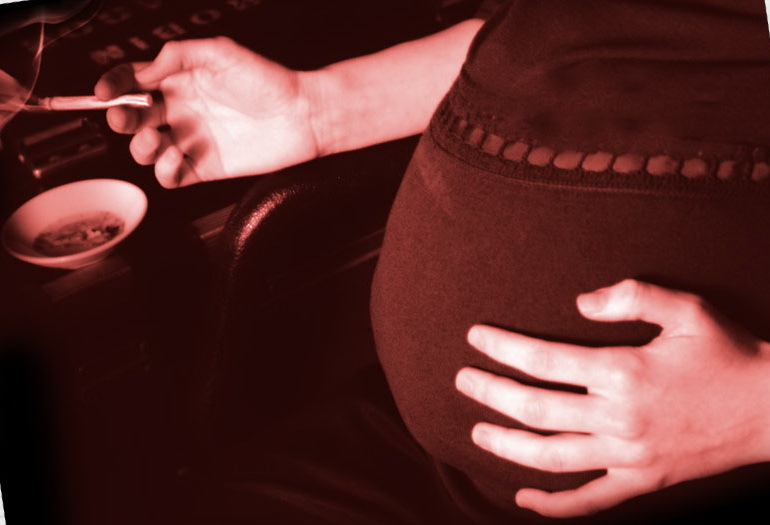 It is shocking to see a pregnant women smoking during pregnancy. Many smokers believe that “It’s just a cigarette. What could be so bad?”. Experts warned that smoking during pregnancy is extremely harmful for both mother and especially for children. Abnormal development, malformations, respiratory diseases such as pneumonia and asthma are just some of the negative effects smoking can have on the child of a smoker. Cigarette smoke contains at least 2,500 chemicals. Although many of these are harmful, the main “enemy” is carbon dioxide. This prevents proper blood circulation, thereby having the effect of poor oxygenation. Substances introduced in the mother lead to a low level of oxygen in blood, and vessels in the uterus and placenta (the organ that connects mother and child, providing it with nutrients and oxygen) are narrowed.